From 2 to 40 people. 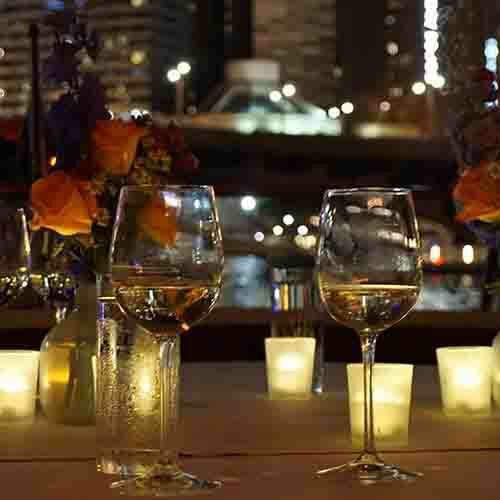 Our Chicago Private Dinner cruise yacht brought back the luxury dinner cruise business back to the City of Chicago in 2011 and became the vanguard of experiential dining. 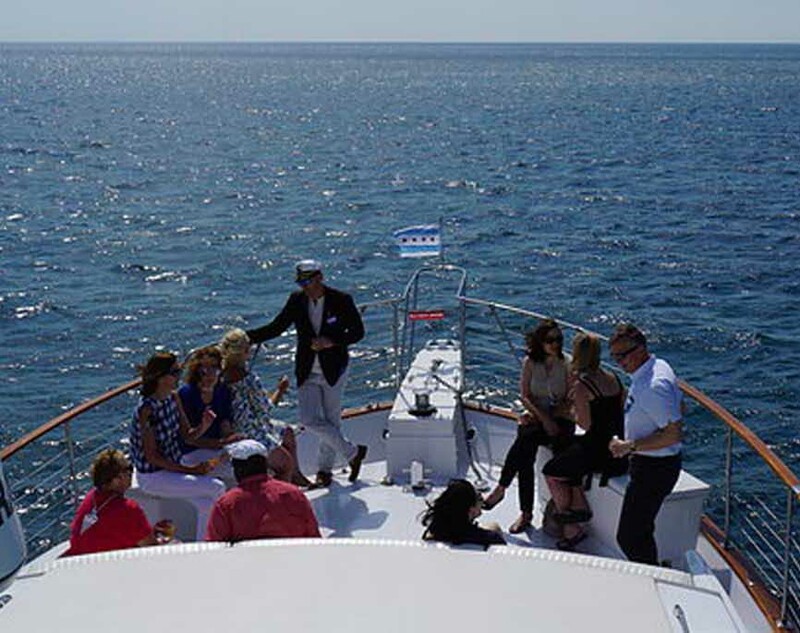 Chicago Private Yacht Rentals and the crew of Adeline’s Sea Moose has had the pleasure to provide the type privacy, pampering and unforgettable experience you would expect from chartering a private luxury yacht for intimate moments, venturing to a distance shore and back or feeling lucky no matter what happens at the casino. 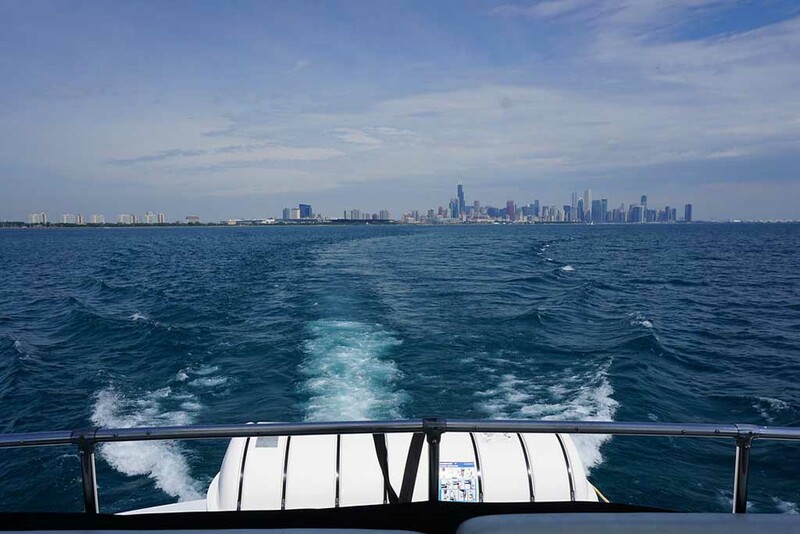 We partner with some of Chicago’s top restaurants and bakeries to deliver 5 star dining experience out on the water! Work with a private Chef to create a personalized 4 course meal for you and your guests. Choose your bar theme and our professionally trained bartender and wait staff will create a custom cocktail menu. Top off the evening with desert on the river, accompanied by our architectural tour guide. 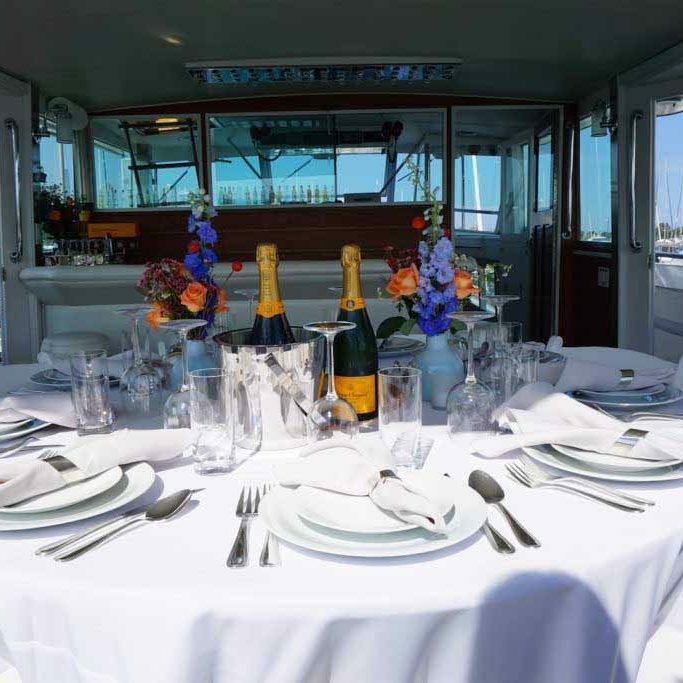 Adeline’s Sea Moose can comfortably host 12 guests for seated dining and 45 guests for butler style hors d’oeuvres.